One of the coolest things about the Bagel Bakery is that we get to interact with the best customers every day and connect with them when they come into the shop. Recently, a customer came in to tell us about her daughter who visits from Austin, Texas. Her mother mails her bagels from our shop on a regular basis to make her feel more at home. It’s amazing to see customers loving our bagels so much that they take them across the country. Another customer who lives here but is from New Jersey just returned from New York City and said he had to admit that our bagels were better than any he had eaten in the big city. 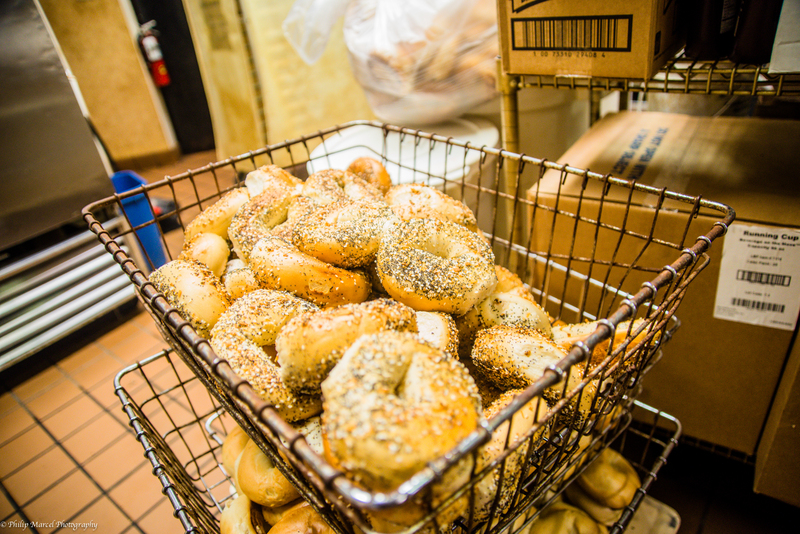 This may have something to do with the fact that we make, boil and bake our bagels on site to create authentic, fresh New York bagels. Testimonials like these truly show that we are in the business of making bagels, and friends. While we don’t have an image of a salad on our really cool sign out in front of the shop, we do have that alternative when you get tired of bagels and wraps. And it’s not just any salad – it’s a Create Your Own Salad. You can choose large or small with a spring, Romaine or spinach base. But then the choosing becomes even more challenging, with 15 toppings, including a variety of protein and veggies and 10 different dressings. 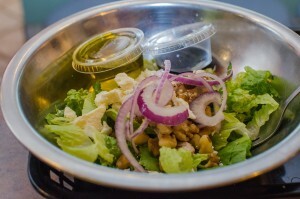 Our Create Your Own Salad is terrific for a lighter-fare lunch. Why not have your next business meeting at the Bagel Bakery and introduce your colleague to the Create Your Own Salad program. You’ll be glad you did. Don’t forget – Valentine’s Day will be here before you know it. 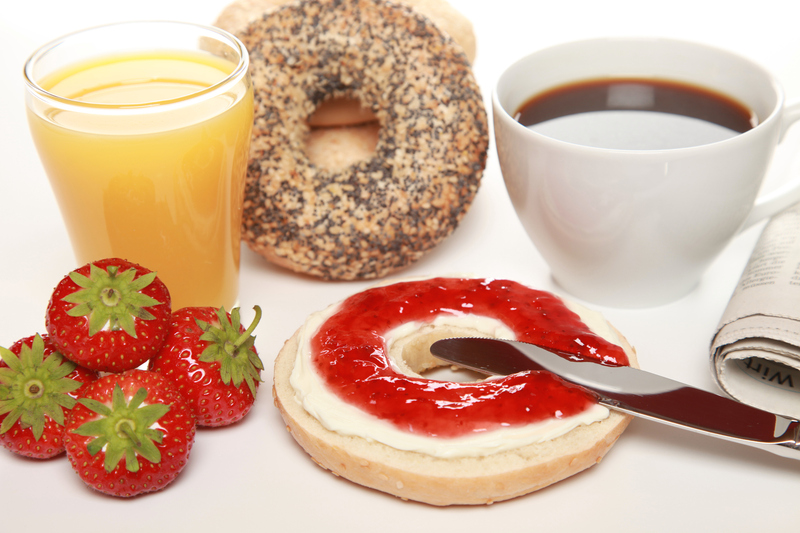 Think beyond the chocolate box and make this bagel treat for your special someone. Nothing says love like a bagel. First, carefully cut the hole of your bagel with a knife into a heart shape. Toast, if desired. Then, spread the cream cheese on both halves of the bagel. Top with fresh strawberry slices and serve.